When the ING Renault F1 Team Roadshow rocked up in Brazil, a country already well known for its carnival atmosphere, the scene was set for an especially exciting weekend. In all more than 100,000 people turned out in Sao Paulo to witness Nelsons special demonstration on the streets of the city at the wheel of an R27. Robert Kubica comments on Shanghai: “The first three corners are the best of the entire lap. You approach Turn 1 at high speed and even maintain your pace when negotiating the first part of the bend. But then the corner gets tighter and tighter. This year, nailing the exit of the corner will be even trickier as we wont have traction control any more.” See Shanghai from the cockpit, just as Nick Heidfeld and Robert Kubica experience the circuit. Formula One is truly a high-tech sport. Members of the BMW Sauber F1 Team explain some basic terms and let you into some of the technical secrets: Willy Rampf, the teams Technical Director, speaks about tyres. Understanding Formula One: Pit Stop. Formula One is truly a high-tech sport. 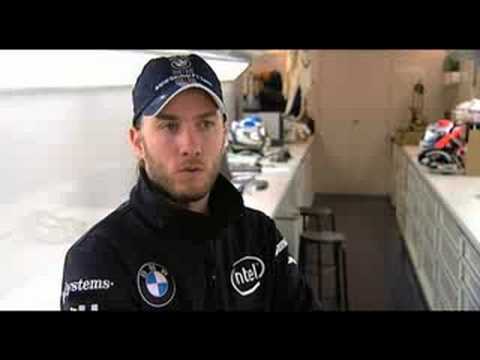 Members of the BMW Sauber F1 Team explain some basic terms and let you into some of the technical secrets: Nick Heidfeld and Robert Kubica speaks about pit stops. Die Formel 1 ist ein absoluter High-Tech-Sport. 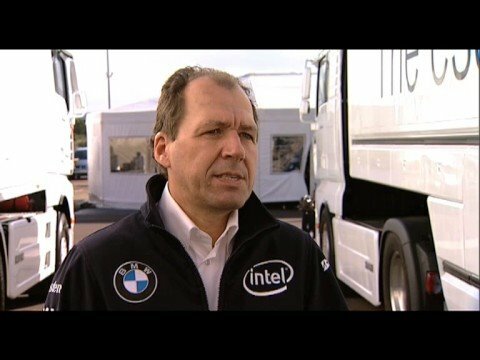 Mitglieder des BMW Sauber F1 Teams erklären Ihnen Grundbegriffe und weihen Sie in die Geheimnisse der Technik ein: Nick Heidfeld spricht über den Boxenstopp. BMW Sauber F1 Team: A lap of Monza. Heavy braking such as for the first chicane is a feature of Autodromo Nazionale di Monza, and punishes brakes and tyres to the absolute maximum. In 2007 Nick Heidfeld finished fourth here, with team-mate Robert Kubica coming fifth. See Monza from the cockpit, just as Nick and Robert experience the circuit.